I imagine a Parisian apartment building whose façade has been removed — a sort of equivalent to the roof that is lifted off in ‘Le Diable boiteux”, or to the scene with the game of go in “The Tale of Genji” — so that all the rooms in the front, from the ground floor up to the attics, are instantly and simultaneously visible. … The mere inventory – and it could never be exhaustive of the items of furniture and the actions represented has something truly vertiginous about it. 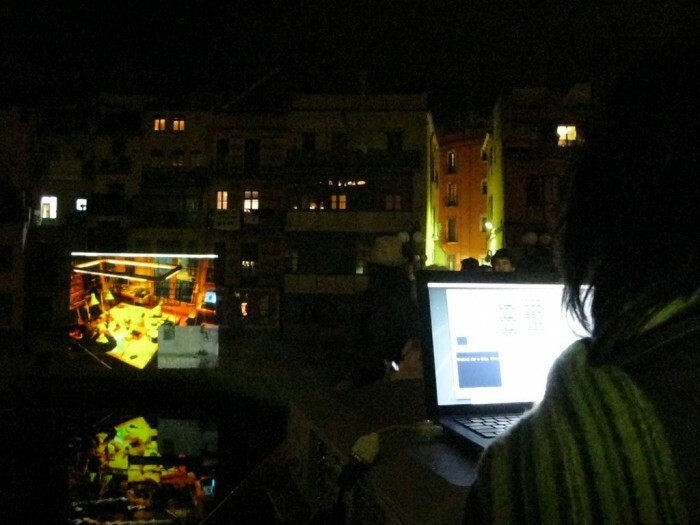 During a two hour intervention, several building façades along the River Onyar in Girona, Spain provided the surface for an open air cinema. 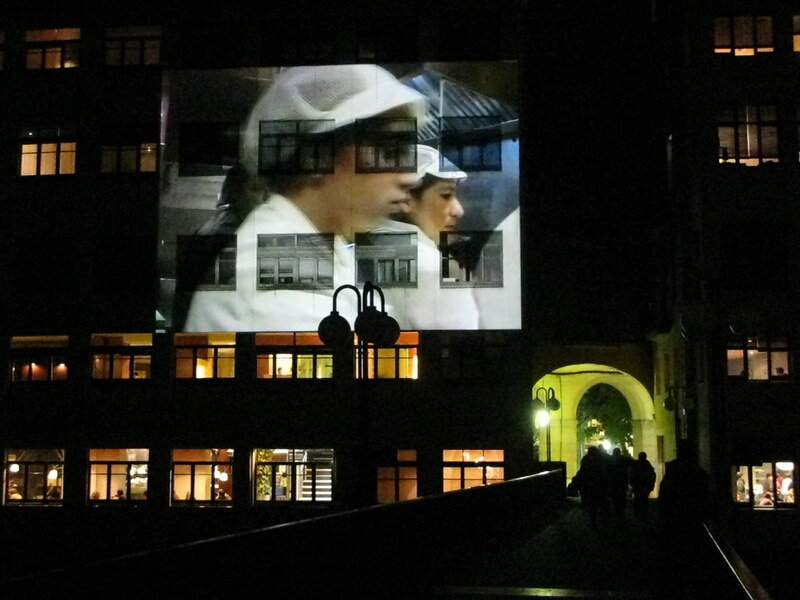 A selection of videos depicting different interior spaces, drawn from a video archive generated by artists and residents of the city, were projected onto the walls of houses. A dialogue between the interior and the exterior was created through this spatial penetration. 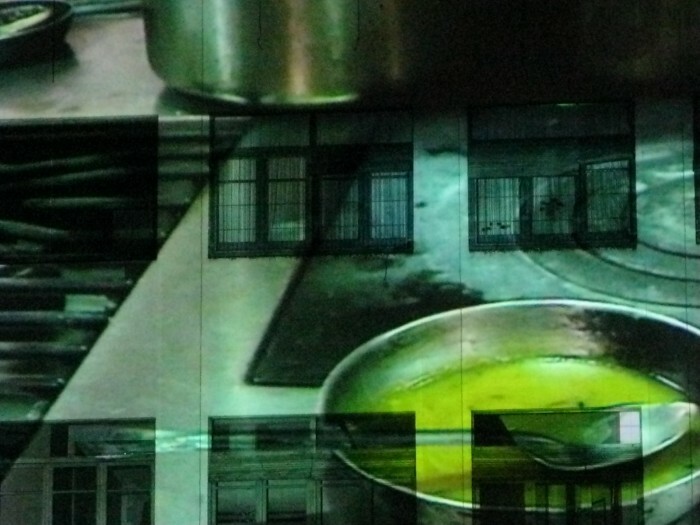 After an hour, the projection shifted to a live image from the interior of a restaurant kitchen. 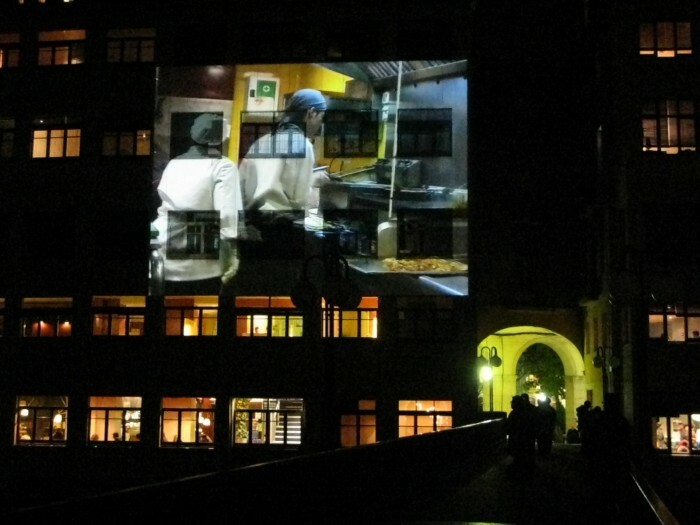 The superimposition of the interior space of the kitchen on the outer surface of the building set up a new way of looking at the city, where the live projection became integrated with the architectural exterior in a way that bordered on the imaginary and poetic. 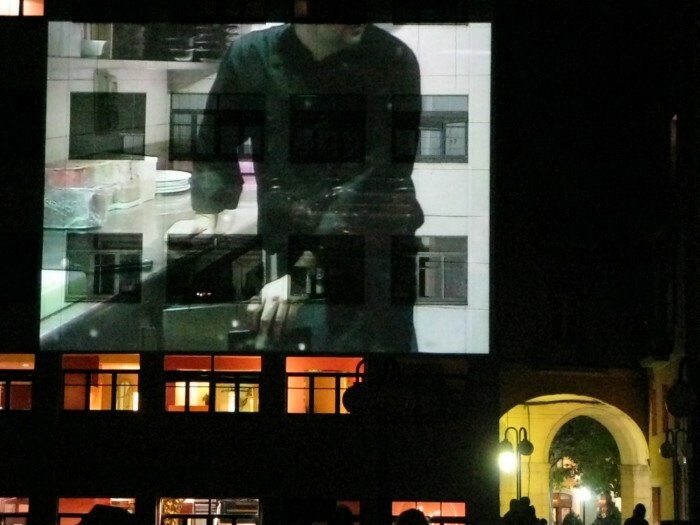 Video generated for the open-air cinema was published on a YouTube Channel and reinserted back into the city via Google Earth, creating a link between private, online and public (urban) space. Project for a City. 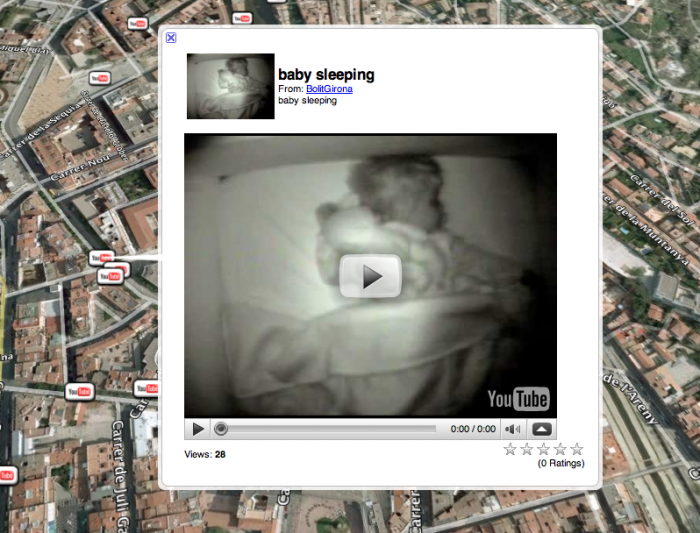 Girona was commissioned by Bòlit Contemporary Art Centre for In Construction. 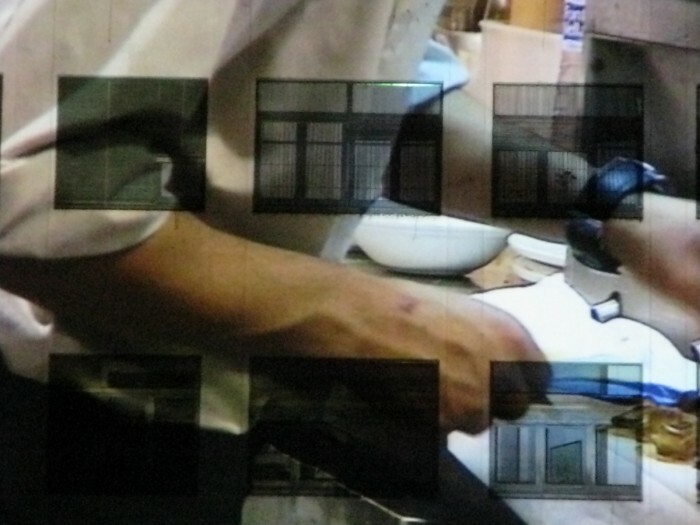 Recipes from Scarcity, Ubiquity and Excess. Curator Rosa Pera. Participants and contributors: Quico Estivill, Hanafi El-Kadaoui, Thais Roig, Shelley Hill, Carlus Camps, Ana Lacaze and Boira Restaurant. Comments closed — Trackback URI RSS 2.0 feed for these comments This entry (permalink) was posted on Friday, February 27, 2009, at 2:16 am by admin. Filed in Projection.